General Rubber is committed to excellence and dedicated to supporting our customers by providing access to a host of tools, materials, and educational programs that satisfy the needs of diverse industries. Our training ranges from virtual classrooms to plant walk-downs. For over 65 years General Rubber’s main objective has been the designing, manufacturing and testing of rubber expansion joints (REJs). As a result, we are proud to offer the most comprehensive REJ training resources available. We provide this training though our online and on-site services in addition to downloadable technical resources. General Rubber hosts live training events that stream directly to your computer. Some of the features offered in our webinar sessions include product training, troubleshooting and failure mode analysis, dimensional verification, and the measuring offsets. Contact us to schedule a private session with one of our engineers. We regularly visit our customers to provide valuable training for even the most demanding applications. For our EPC customers we provide engineering presentations Best Piping Practices and Optimization for the selection and application of REJs. These presentations outline how to reduce system footprint and cost while improving energy efficiency and system reliability. For our MRO customers we provide training on implementing a Plant Reliability and Efficiency Program. This program includes utilizing performance replacement REJs, conducting traditional and advanced inspections, and implementing an FMEA matrix to highlight REJ failure modes and appropriate corrective actions. For our OEM customers we provide solutions specific to incorporating their equipment into the overall system for improved performance and reliability. 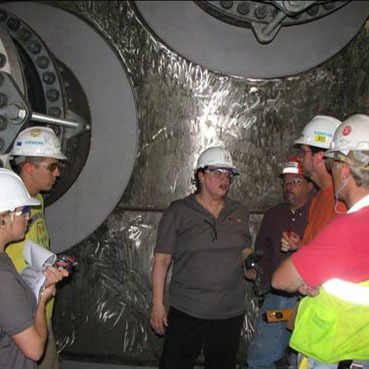 Contact us to schedule an engineering presentation or site visit. General Rubber offers a wide range of resources to support our customers’needs for training specific to multiple industries and sectors. At General Rubber, we feel that extensive REJ product knowledge is critical to designing optimal piping systems, increasing plant reliability and safety, and maximizing equipment performance. Therefore it is our responsibility to share our skills and experience with our customers to achieve these goals. If you have any questions about our online and on-site training services or downloadable technical resources, please contact our technical sales staff.